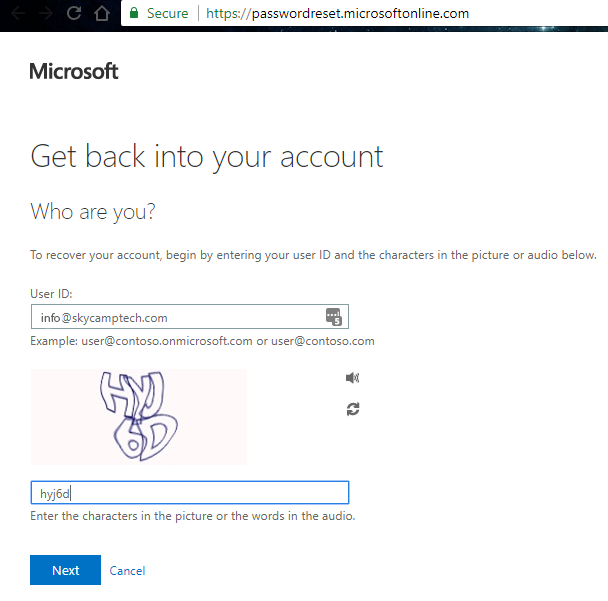 To get started, go to Office 365 Account Recovery and login. Once in, you will see the options to configure a recovery phone and email. Next to “Authentication Phone is not configured”, click “Set it up now”. Set the country, then enter your phone number. 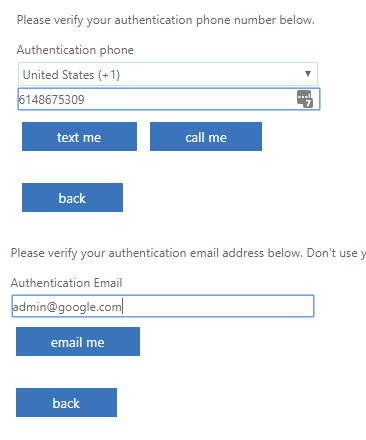 You can choose to have them text you or call you to provide the authentication code. Enter that and save. 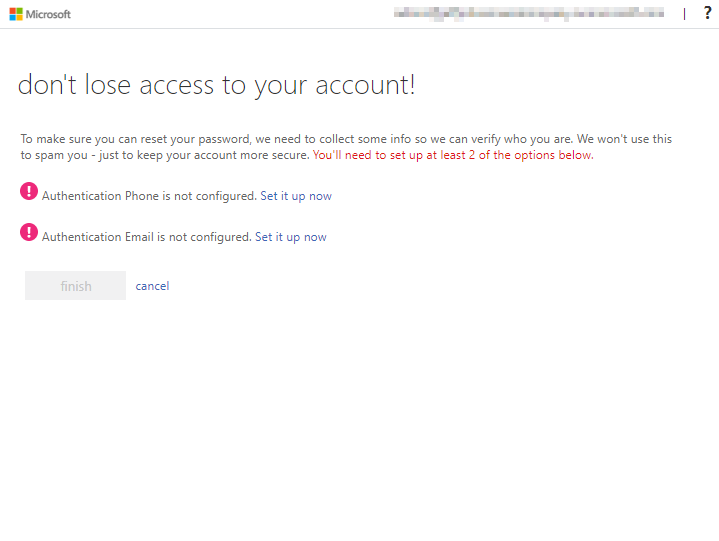 Next, do the same thing for the “Authentication Email is not configured”. Once you’ve configured and verified both, click Finish and you’re done! You’ll be prompted to enter your email address, do so and hit Next. You will then be given the different options to reset your account. Choose whatever is most convenient for you, then click Email (or Text if you opted for a text message). You’ll receive an email / text / call with further instructions on resetting your password. As always, please do not hesitate to contact us with any questions or issues. To get started, go to https://portal.office.com and login. 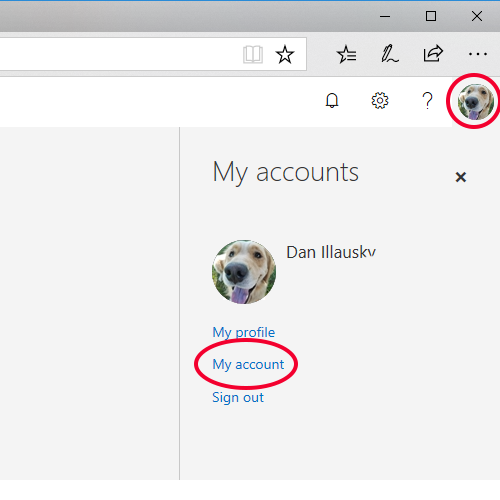 Once in, click on your user icon in the upper right, then click on My account. Next, click on Personal info in the left-hand menu. 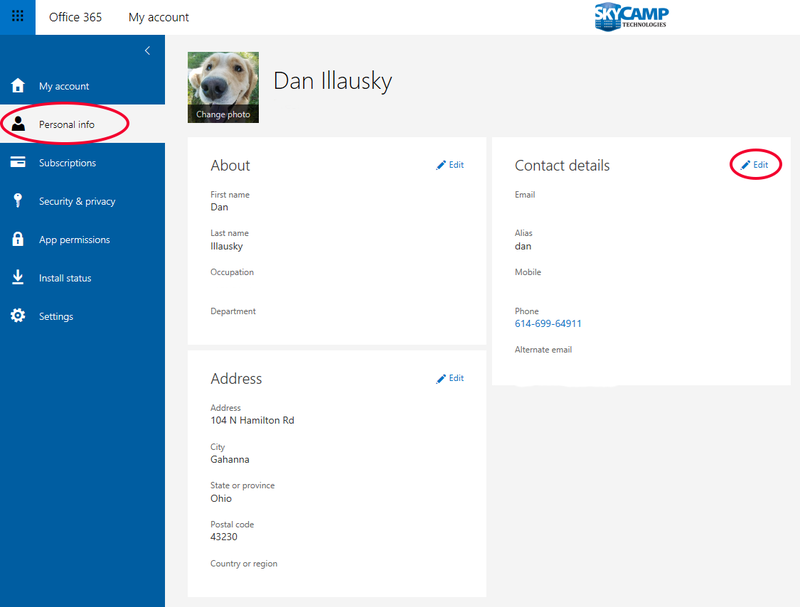 Then click Edit in Contact Details. You’ll then be able to enter your mobile number and alternate email address. 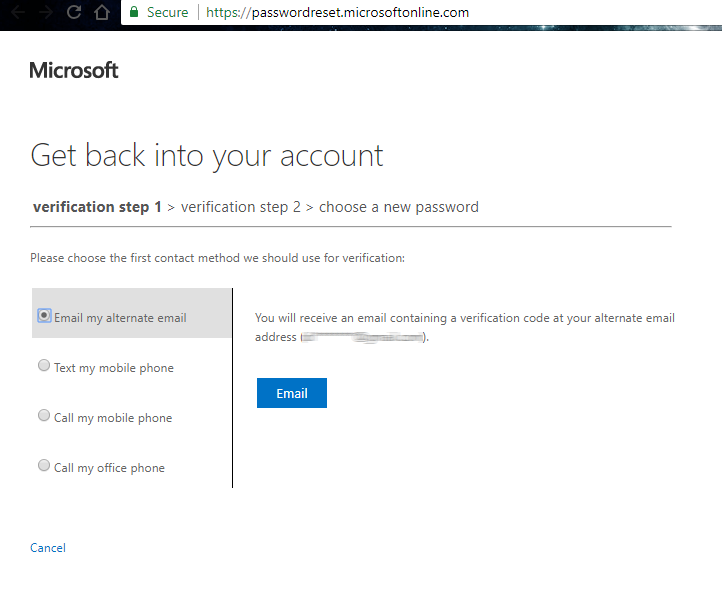 This is where they’ll send the account recovery link should you need it, so it’s normally best to use your personal email address.